First verse of 'Sixteen Straws' taken from the traditional song 'Moreton Bay'. © & ℗ The Drones, 2006. Licensed to All Tomorrow's Parties Recordings. Distributed in Europe by SRD and in the US by Forced Exposure. 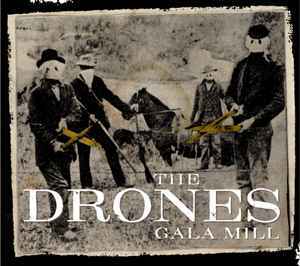 Recorded March 13th-19th 2005 in the mill at Gala Farm in Cranbrook, Tasmania. Mixed at The Loft in Gippsland. Tracks 1 to 7, 9 Mushroom Publishing.